In the galaxy of Nepalese literature, no star shines as bright as Mahakavi Laxmi Prasad Devkota. The title Mahakavi, which simply means ‘The Great Poet’, sufficiently explains his stature in the Nepalese poetry. Apart from being a gifted poet, he was an equally formidable contributor in prose. His works, voluminous yet brilliant, offer the ultimate expression of humanity in the Nepali language. His fame and legacy is not only celebrated in Nepal, but in places as distant as Russia, where his works are still read and rejoiced. An enigmatic figure, Devkota has an air of mystique attached to him. We have all read and heard how, once, on seeing a beggar, Devkota gave him the coat he was wearing. We have all heard how he wrote poems in cigarette straps. Devkota had the ability to write poems very quickly, he wrote the Shakuntal in three months, the Sulochana epic in 10 days and Kunjini in a single night. Nepali poetry soared to new heights with Devkota's groundbreaking poetry. "Muna-Madan," a long narrative poem in popular folk metre, begins the end of the Sanskrit tradition in Nepali literature. "पागल" (translated in English as "The Lunatic") is another of his ground-breaking works. Apart from these, here are the Ten more Facts about the Great Poet which you might not know. 1. Devkota used to be so focused while writing that he sometimes did not notice rolling his poems to a cigarette or blowing his nose with them. 2. A fervent gambler, Devkota was also a keen harmonium player and spent whole nights playing harmonium. 3. Devkota was not poor, but was childishly impractical. Whenever he had money, he searched for numerous ways to spend it. One day he would have a lot of money, and the next day he would sleep hungry. A reason for his profligacy could lie in the fact that his wife Man Devi spent a good deal of money in religious activities, which a humanist such as Devkota obviously detested. Thus, he spent the money as far as he could and brought very little money home. 4. In 1953, when he visited Romania, Devkota brought his blanket, mattress and pillow from home and carried it all the time. Naturally, many people there were amazed and curious to see the sight of Devkota carrying his beddings. 5. At the age of sixteen, he got married with Man devi Chalise. 6. Many called the Poet a lunatic when he wrote, “What aim to take, but to fly and touch the moon?” Coincidentally, he died in the same day the first aircraft to land on the moon, the Soviet Luna-9, reached the moon. 7. 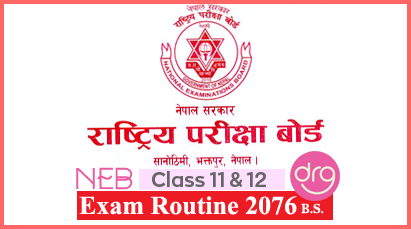 Brilliant in his studies, Devkota was, at once, promoted from Class Eight to Ten in Durbar High School. 9. Devkota was denied the prestigious Madan Puraskar. Actually, it was feared that Queen Jagadamba—the benefactor of Madan Puraskar—would grant him a generous patronage in addition to Madan Puraskar if she were to know about him and his works. Considerable plots were weaved to keep him out of the Queen’s knowledge. 10. Devkota seldom acted on his own plans and never made important decisions himself. A gullible fellow, Devkota suffered the consequences of his credulity throughout his life. 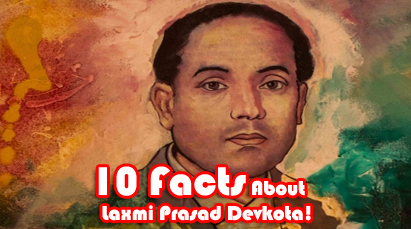 0 Response to "10 Facts That You Didn't Know About Maha Kavi Laxmi Prasad Devkota"